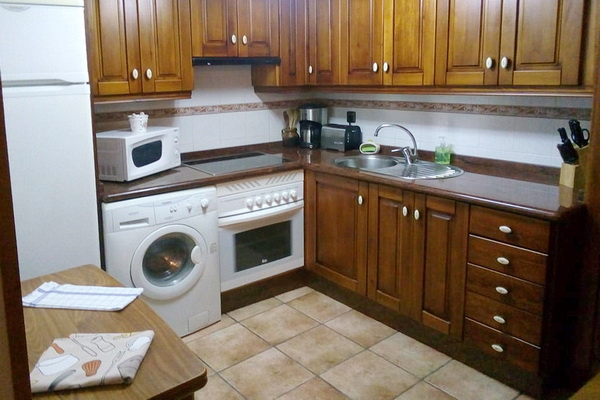 Rural apartment above the Rio Cares with stunning views of Naranjo de Bulnes. 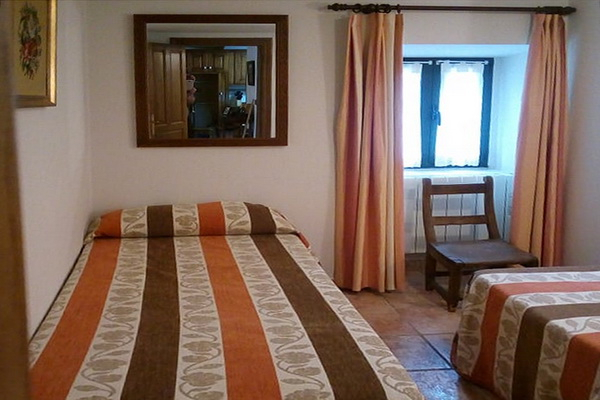 Perched high above the dramatic gorge of the Rio Cares, in the tiny hamlet of Camarmena, this traditional, solid stone, detached house has been attractively restored and divided into two roomy, comfortable apartments. Surrounded by craggy peaks with the river running below, they command the most spectacular and stunning views of the Picos de Europa, including the unique "Naranjo de Bulnes". 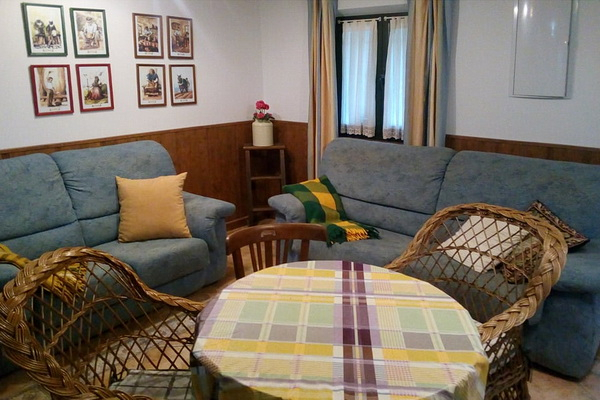 The well equipped apartments, on the ground and first floors, each with their own entrance, are functional and practical and discreetly decorated and furnished, in keeping with their superb mountain setting. 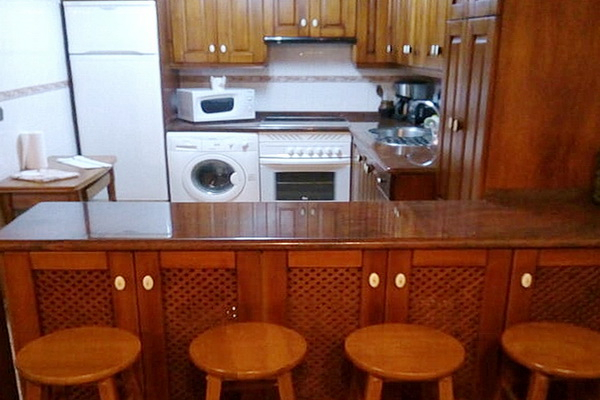 The Apartamento Abajo has an enclosed terrace going along the front of the house, pleasant for sitting and eating out. 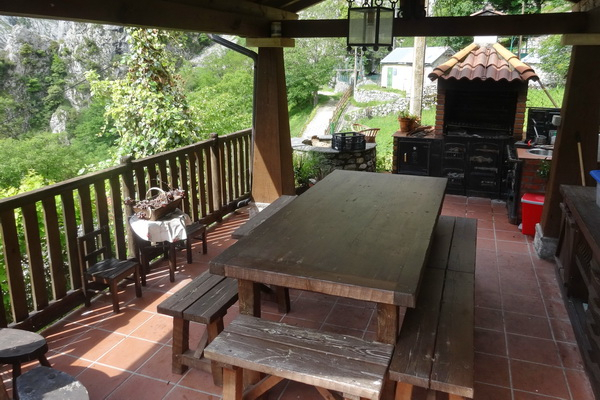 They share a parking area in front of the house and a small garden with fruit trees and a covered BBQ area at the side. Though remote in feel with just a handful of other houses around, there is a friendly village bar and a simple, country restaurant on your doorstep. 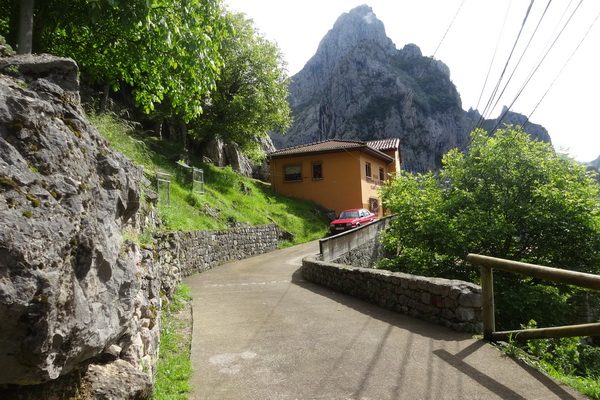 At one and a half kilometres in Poncebos, down the winding road, there are a couple more bars/restaurants, the start of the famous walk "La Ruta de Cares" and the funicular de Bulnes. 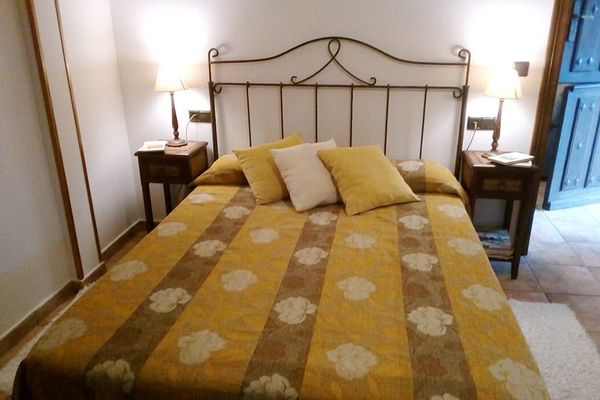 For supplies, the busy village of Arenas de Cabrales, a fifteen minute drive, should have all that you need and wonderful beaches are under an hour away. Shared parking area in front of house. Enclosed terrace with a bench and chairs and small table. 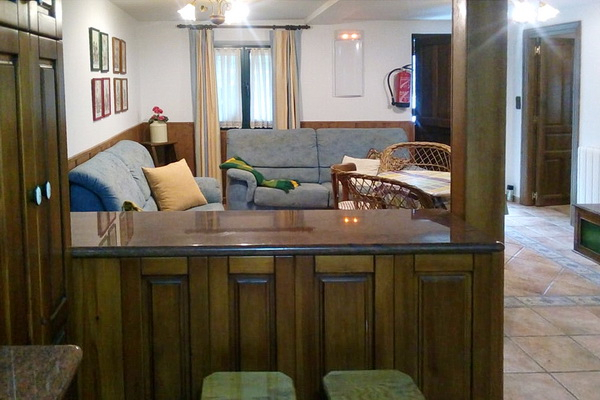 From this stable style front door opens into open plan living room and fully fitted kitchen at the far end, separated from the living area by an "American" bar. Off this two bedrooms (one double and one triple) and bathroom. Steps down from parking area to shared, small, sloping fenced off garden with fruit trees with a BBQ area with a covered porch with a dining table and benches. 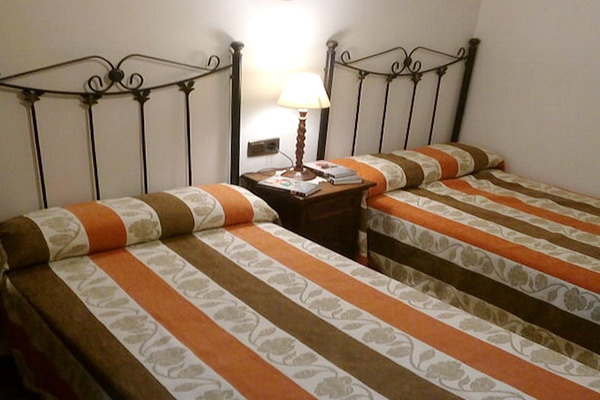 Bedroom Details: 1 dble, 1 triple. Christmas and main public holidays are charged at mid or high season rates. The tiny hamlet of Camarmena is in the municipality of Cabrales in Eastern Asturias, well known for its pungent blue cheese, in the Picos de Europa. 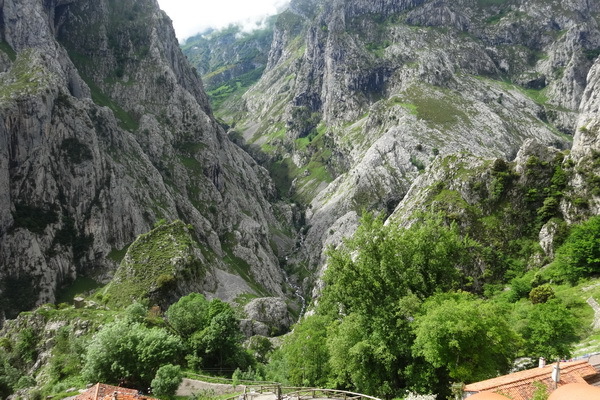 With just a handful of houses and only eleven inhabitants, it perches high above the dramatic and well trodden Desfiladero de Cares (The Cares Gorge). 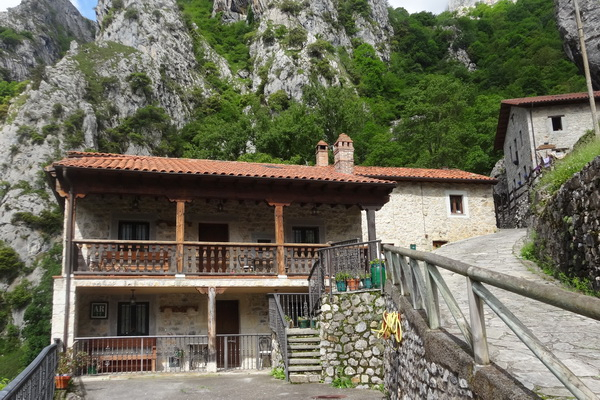 Reached by a very steep and winding road (one and a half kilometres), surrounded by craggy peaks, it commands the most spectacular views of the mountains including a unique vista of the famous Naranjo de Bulnes. Though remote in feel, it has a friendly village bar and a simple restaurant serving regional food, and a Mirador (viewpoint) which attracts its fair share of visitors. 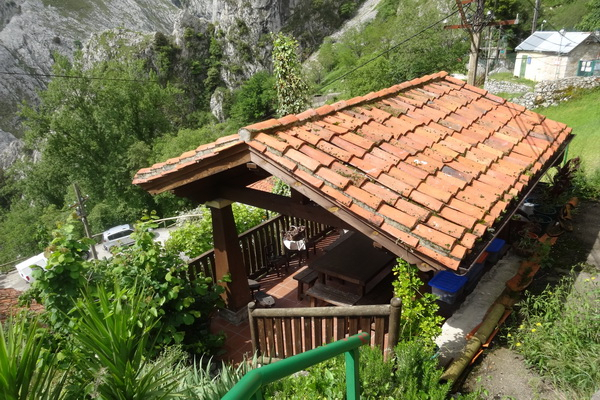 Down by the Rio Cares in Poncebos there are a couple more bars and restaurants and the funicular which takes you up to the village of Bulnes, where the ascent to the "Naranjo" begins. There is also the road that leads to the villages of Tielve, Sotres and Tresviso, all with basic amenities. 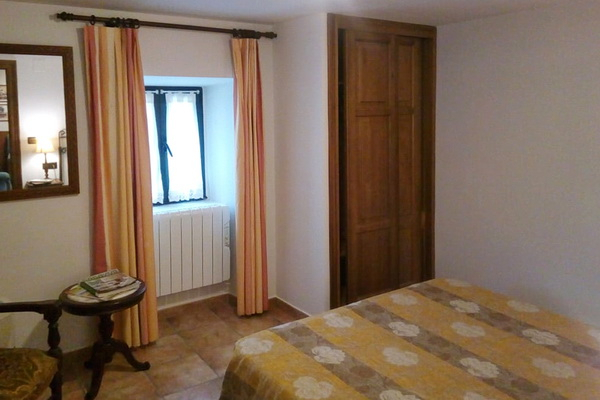 The small town of Arenas de Cabrales, at eight kilometres, has most amenities. 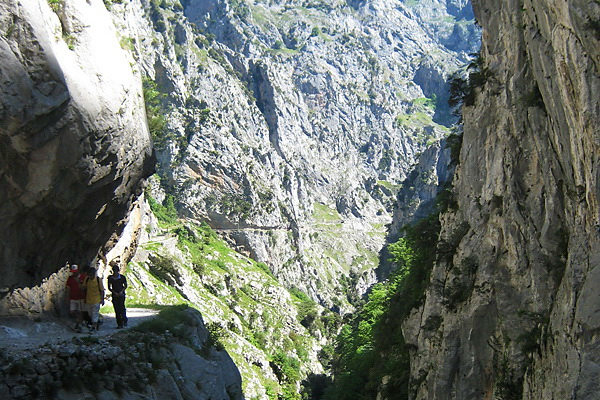 Take the funicular up to Bulnes (the start of the ascent of Naranjo de Bulnes) and walk back down following the Canal del Tejo. 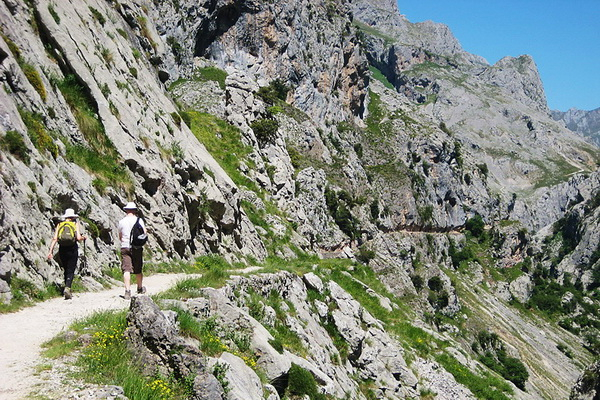 Discover the villages of Sotres and Tresviso (famous for its cheese) beyond Bulnes. Walk the beautiful "Senda del Rio Casano" with its amazing vegetation of oaks and ancient chestnut trees.This starts at the village of La Molina west of Arenas de Cabrales. 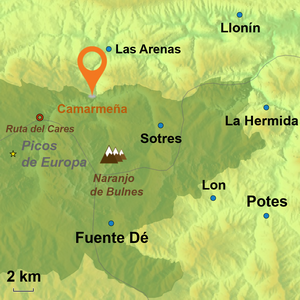 Go up to the mirador in the village to get the best view of the "Naranjo de Bulnes". 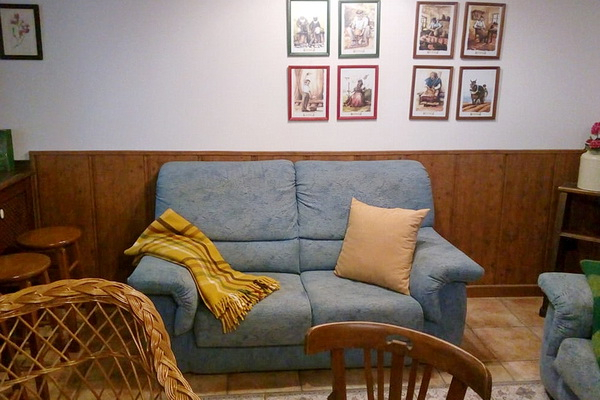 Visit the Museo del Queso Cabrales (the cheese museum) on the road to Arenas de Cabrales. Have a day out on the coast at Llanes and its fantastic beaches. 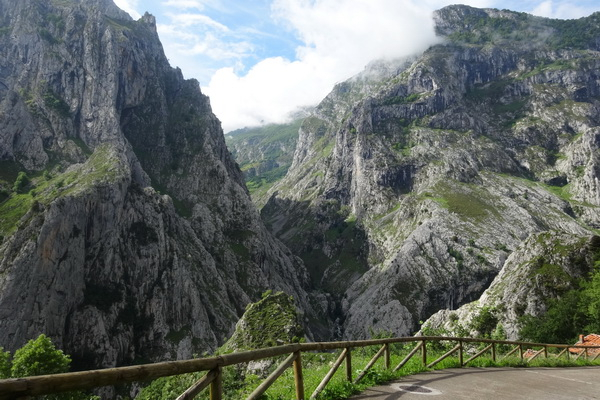 Visit the shrine at Covadonga and the lakes of Enol and Ercina. The "Bufones at Pria - Impressive blowholes at Pría, near Llanes — observe at first-hand the strength of the sea: the waves shoot up from underground caves and come out through holes made thousands of years ago. Stock up at the wonderful Sunday market in Cangas de Onis. 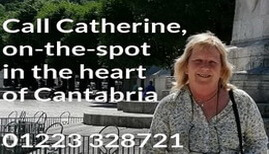 Local gastronomy - many local, family run restaurants, but also two Michelin star restaurants in nearby Arriondas - El Corral del Indiano (one star) and Casa Marcial (two stars). Gatwick to Bilbao or Oviedo with Vueling (BA).